Break chocolate into pieces and add milk, place bowl above pot with boiling water and wait till chocolate dissolves. Mix eggs with sugar till they change colour into paler. Add butter, mix well. Sift flours, add salt and baking powder. Slowly add flours into eggs mixture. Gently add raspberries and mix. Bake about 14 minutes in preheated oven 180 C degrees. 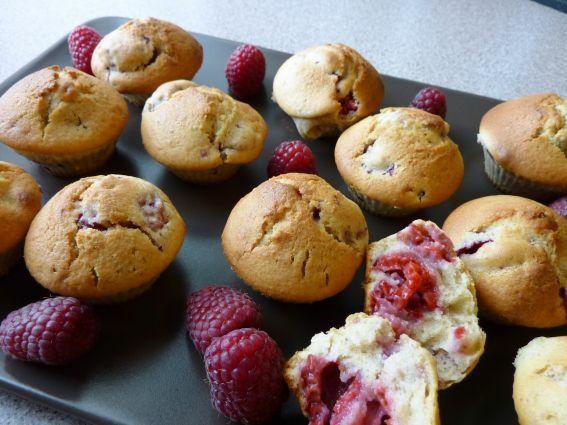 (if you use regular size muffin cups bake 20 minutes). Food 2 Please Copyright © 2019.